Fiat Professional and the Yamaha Factory Racing Team have announced details of their new sponsorship agreement at the MotoGP 2014 test session, currently being held in Sepang, Malaysia. Supplier for the Japanese team for the 2014 MotoGP World Championship with the windscreens of the Yamaha YZR-M1 motorcycles of Jorge Lorenzo and Valentino Rossi both bearing the Fiat Professional logo. The logo will also feature in the Yamaha team's official communication and the backdrops for interviews, as well as on the chairs in the pits. 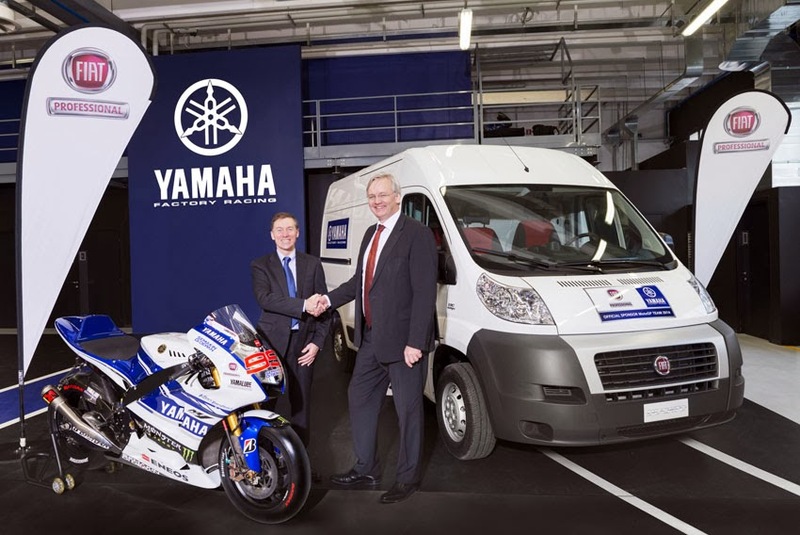 In addition, Fiat Group will provide cars for the Yamaha Factory Racing Team for the MotoGP 2014 races, while other vehicles - commercial vehicles and cars - will accompany Yamaha Motor Racing management throughout Italy over the course of 2014.